An Italian company revealed to have sold technology to Syria also won an Israel Railways tender. One of the more than two million emails from Syrian political figures, ministries and companies which WikiLeaks began exposing on Thursday reveals that Finmeccanica, an Italian defense giant with extensive interests in the UK, supplied communications equipment and expertise about helicopters to the Syrian regime, even after it had launched a violent crackdown on peaceful protests that began in March 2011. According to a report in the British Telegraph, the leaked emails appeared to show that Selex Elsag, a subsidiary of Finmeccanica, was selling radio communications equipment worth 40 million euros to the Syrian police in May 2011, the same month that the European Union imposed an embargo on the regime, prohibiting the export of weapons and equipment that could be used for internal repression. The Tetra radio equipment, including 500 hand-held VS3000 radios, was apparently destined for police deployed to a suburb of Damascus, the report said. The e-mails also appeared to show that as recently as February this year engineers from Selex Elsag travelled to Damascus to give training on the use of the communications technology, including how it could be installed in helicopters. Meanwhile, a report in Israel’s Channel 2 News on Thursday night revealed that Selex Elsag also has close business relations with Israel Railways. Channel 2 News discovered that Selex Elsag recently won an Israel Railways tender and that the company has already begun to provide Israel Railways with infrastructure for its new smart ticketing system, which will be introduced to passengers in the near future. Officials at Israel Railways confirmed the report, but noted that the deal with Selex Elsag was signed prior to the publication of its ties with the Assad regime. The officials also added that other companies are also providing Israel Railways with similar equipment. 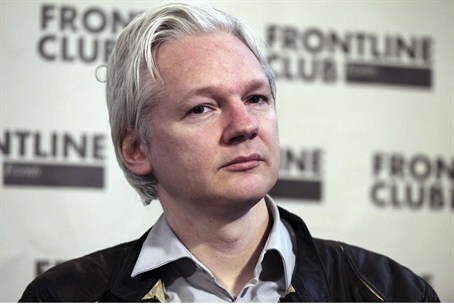 Earlier on Thursday, WikiLeaks said that the so-called 'Syria Files' that it plans to expose show how the West and western countries "say one thing and do another" when it comes to dealing with the Assad regime. According to WikiLeaks, the leaked emails date from August 2006 to March 2012 and derive from more than 650,000 email addresses. Among them are email addresses associated with the country's ministries of foreign affairs, finance and culture, and for foreign companies. WikiLeaks said that, as there is a "large dataset" to go through, it could take months for all the stories contained in the emails to come out. The emails are in various languages, including Arabic and Russian.